Our valued clients can avail from us a remarkable range of Conveyer Brush. Developed with latest technology, these offered products are in compliance with the defined parameters of the industry. To cater to the divergent demands of the clients, we offer these brushes in different colors, sizes and specifications. The most suitable conveyor cleaning solution will ultimately depend on its applications. Roller conveyor brush solutions can be more effective and they typically have a longer life. They are also very flexible, being suitable for a wide range of applications. 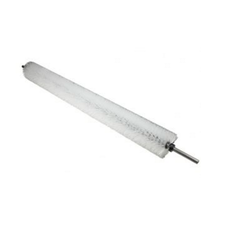 We have been able to offer our clients a qualitative range of Conveyor Brushes. We are one of the best manufacturer of Conveyor Brushes. Conveyor Brush on Leather Belt / Sandwich Belt are used in Textile Industry (Cordroid) and Conveyor Industry. We have set benchmarks of quality and excellence in the international marketplace by manufacturing and supplying an extensive range Conveyor Brush. We manufacture this brush under the strict guidance of our quality team. This Conveyor Brush has some great features like smooth finish, high tearing strength and long lasting life. We are a emerging Supplier of conveyor brushes. Cylinder brushes are used for conveyor cleaning or wide face brushing of a product substrate on a production line. Spiral wound cylinder brushes are based on our strip brush technology, and are individually designed to meet the customer's specifications. 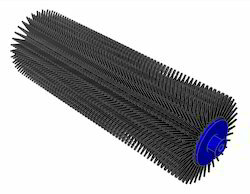 Paddle wheel style conveyor cleaning brushes also utilize our strip brush technology and offer a customer- refillable brush core.